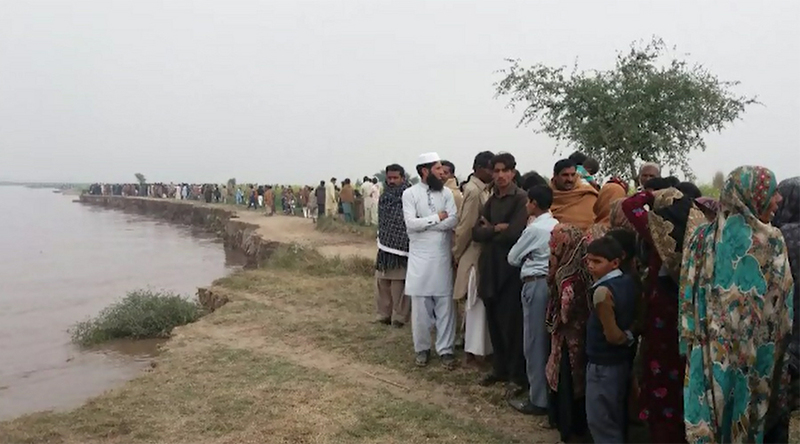 NANKANA SAHIB (92 News) – Several people are feared dead when a boat capsized in the Ravi River near Syedwala, Nankana Sahib on Friday. The boat carrying women and children overturned due to fast flow of water. Locals said that the boat was overloaded with passengers as well as motorcycles and other equipment. As a result, the boat could not maintain its balance and overturned after striking against an under-construction bridge. It was washed away by the fast flowing water. After getting information, locals launched the rescue operation. Meanwhile, Chief of Army Staff General Qamar Javed Bajwa has directed rescue activities.